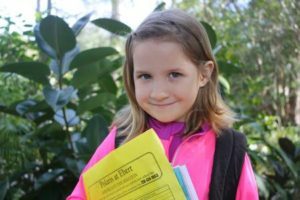 Coastal Publishing Group, Inc. – Improving education by integrating school, child, and family. Improving education by integrating school, child, and family. Parent/family involvement directly influences the child’s success in school. Educators are faced with over-involved and under-involved parents and have to find solutions to effectively manage both. Do your parents know what is expected of them? Are you clearly explaining how much (or how little) time and effort is needed to meet your expectations? Click here to visit our Resources page and get ideas and plans for fixing your parent involvement issues. Don’t Pay Anything to Improve Parent Involvement! 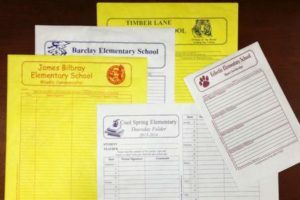 Use local advertising to work for your school! 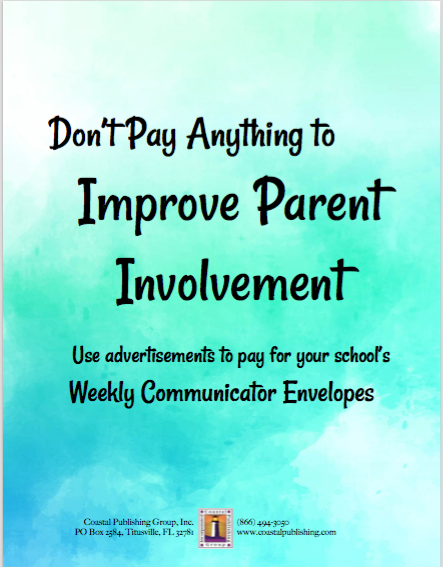 Find out how to use advertisements from local businesses to pay for your school’s Weekly Communicator Envelopes. Click here for the downloadable pdf or check out the “shop” page for our guide available in print.